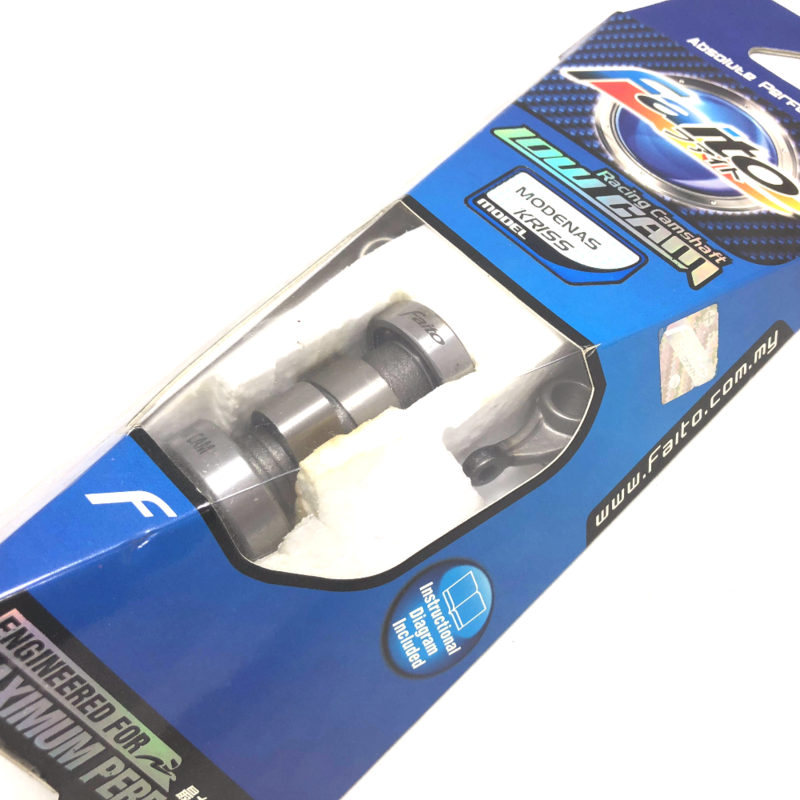 High quality racing camshaft for Modenas Kriss. Designed specially to improve mid range and high end power for maximum speed. Equipped with high performance bearings for easy installation.